A few weeks ago I wrote a little list of book recommendations for readers who’d enjoyed When I Was Joe and Almost True and wanted something to read during the seven-month (sorry) wait for Another Life. Here are some more books that might appeal. 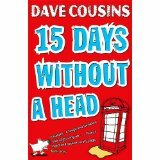 If you liked reading about an ordinary boy with big problems – try Fifteen Days without a Head by Dave Cousins. Laurence’s mum has a drink problem and has gone missing – but Laurence and his little brother can’t tell anyone. Their story is funny, unexpected and heart-breaking – and really makes you think about what should happen in families where the parents aren’t coping. By the end I was all set to call the social workers myself…except that’s not the solution that Dave wrote. 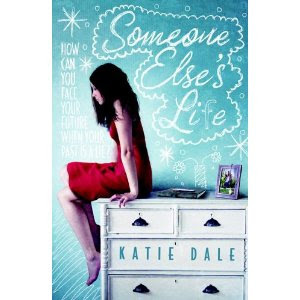 If you’re into grappling with thorny moral issues, read Katie Dale’s Someone Else’s Life (which, by the way has the most gorgeous cover). Rosie’s mum has died of Huntingdon’s disease, and she must decide whether to find out if she carries the disease herself – a devastating diagnosis if positive. But then Rosie discovers long-buried secrets which destroy everything she ever believed to be true. I’ve rarely read a book which gets you so involved in the lives of the characters – at times I’d have cheerfully throttled all of them, including Rosie’s lovely Gran – or which twists and turns so fast and furiously. The dilemmas faced by Rosie and others – I don’t want to give anything away – are so huge, that you’re left pondering them for ages afterwards. If you’re a fan of psychological thrillers – and especially if you liked the ghost/hallucination aspect of Almost True, not to mention the unreliable narrator of both Joe books – then Cat Clarke’s Torn is a must-read. It starts off a bit Pretty Little Liars-ish with a motley crew of girls sharing a cabin in the wilderness, then things go seriously wrong when Alice, Cass, Polly and Rae decide to teach popular but bitchy Tara a lesson. 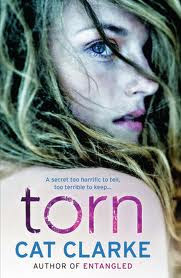 Torn is scary, believable and utterly compelling and Cat is completely brilliant at getting inside the head of a teenage girl who lets insecurity and low self esteem lead her to disaster. Another Ty book – brilliant! Thanks for the mention, Keren. Looks like another two (or three) books I’ll be adding to my reading pile.